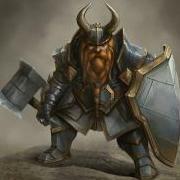 [US-Baelgun][A] <Fresh> Heroic Progression Guild Recruiting! [A][baelgun] <Fresh> is a 10 man progression guild looking for two exceptional players. We are built around a core group of eight stable players who have been together since Wrath of the Lich King. Our focus is heroic content, having consistently downed heroic content in previous expansions. We are looking to bolster our group in order to progress further into MoP content. Monday, Tuesday and Thursday: 5:00pm - 8:00pm PST. Sunday: 6:00pm - 9:00pm PST. While we are primarily searching for DPS, our group is filled with versatile players, and we therefore will be taking applications from any and all roles into serious consideration. All spots are full time. We aim to find permanent raiders, and not mere casual replacements. -Reliability: We expect you to show up on time and perform consistently. -Attitude: While we are online to have fun, we are also a mature group. All members are expected to be respectful of other players in general. We’re looking for players that are online to have a good time, not to blast others or be blasted. Trolls, “drama queens,” and negatives behaviors altogether will not be tolerated. -Open Mind: This applies both individually and for the raid as a whole. Constructive criticism should be taken seriously, as well as new ideas for ways to approach things. We are looking to build upon each other, and being open to ideas is a large part of this. -Adaptability: We expect our players to know their class, and as such, should the need arise, you should be able to conform to varying potential strategies and ideas that are brought to the table. -Competitive: Our group is serious about what we do, and you should be as well. Players should care enough about their performance to have done their homework and researched the best possible rotation, spec, etc., in order to be the best raider they can be. Our players are consistently looking to rank, as you should be. -Gear is distributed by a Loot Council. We focus on a need-based system, i.e., depending on your item level and the item levels of others, the piece will be given according to what would benefit the raid as a whole the most. -Raid necessities (such as buff food, flasks, and repairs) are provided by guild. -Communication during raids is Ventrilo based. Or whisper Dwarfknight, Drussah, or Seesaw in game. Edit: Updated for downing 5/6 tonight. Edit: Updated for downing 6/6 tonight. Edit: Updated for having downed 4/4 ToES and 2/6 H MV.